With amiina one of the most original and adventurous bands from Iceland dedicate themselves to the legendary film classic „Fantômas“. 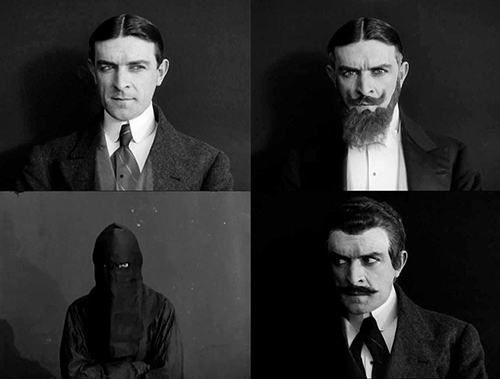 Since the publication of the first novel more than one century ago, the sinister villain Fantômas with his innumerable faces and disguises has stimulated the imagination of a constantly large audience and appeared in diverse films, comics, and theatre plays. The first film version by Louis Feuillade with René Navarre in the title role was one of the biggest successes in the cinema of its time. 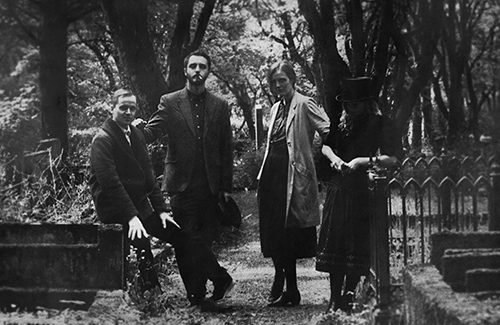 Until today it has not lost any of its gloomy fascination, thereby perfectly fitting the timeless beauty of amiina’s music: Between playful pop experiments and fragile chamber folk, the Icelandic band, also known for its long-time collaboration with Sigur Rós, creates a unique sphere of sound. amiina’s soundtrack for „Juve contre Fantômas“, the second episode of Feuillade’s legendary serial, had its premiere in the renowned Théâtre du Châtelet in Paris – within a programme curated by Yann Tiersen on the occassion of the 100th anniversary of the first film version. In the meantime the film score was also released as an album (Morr Music / Mengi). In April, UM:LAUT welcomes amiina for one of their rare film concerts: With their extraordinary instrumentarium and multilayered sound, the Icelanders weave a captivating film music spectacle – melancholic and ethereal, yet full of suspense, pounding rhythms and haunting melodies. amiina is a band based in Iceland whose origins go back to the late 1990s, when four young women studying at the Reykjavík College of Music formed a string quartet. The group started out playing classical music but increasingly moved on to play all sorts of music with various bands in Reykjavík. In 1999, the quartet joined the iconic Icelandic band Sigur Rós on stage. The collaboration continued for over a decade, with amiina contributing strings to Sigur Rós‘ music on tour and in the recording studio on various albums. In 2004, the band released its first own EP called „AnimaminA“. The following debut album, „Kurr“ (2007), was performed on a disparate jumble of instruments – from musical saws, to kalimbas, music boxes, and seemingly anything that could be plucked, bowed or beaten on – resulting in a work that ebbed and flowed „in a strange, powerful place between sophistication and innocence“, according to The Guardian. Later the band was joined by drummer Magnús Trygvason Eliassen and electronic musician Kippi Kaninus, adding more percussive and rhythmic textures to the band’s sound. After another acclaimed full-length album in 2010, two more EPs and several singles on different labels, the band released their latest album „Fantômas“ in November 2016. At present the band counts five people – Hildur Ársælsdóttir, María Huld Markan Sigfúsdóttir, Sólrún Sumarliðadóttir, Magnús Trygvason Eliassen and Guðmundur Vignir Karlsson (aka Kippi Kaninus). Alongside the work with amiina, the band members keep busy collaborating, recording and touring with other artists of various musical genres such as Sigur Rós, Yann Tiersen, Spiritualized, Efterklang, Damien Rice, and Ben Frost, as well as with visual artists, theatre and dance, both in Iceland and elsewhere in the world. Fantômas is a French silent crime film serial directed by Louis Feuillade, based on the novels of the same name. The five episodes, released throughout 1913-14, revolved around Fantômas, a sadistic and ruthless serial killer, the lord of terror and genius of evil who initially came to live in the crime fictions of French writers Marcel Allain and Pierre Souvestre in 1911. „Fantômas“ was enormously popular upon its release in France, and made René Navarre, who played Fantômas, an overnight celebrity. In a rave review from a 1914 issue of the French journal Chronique cinématographique, critic Maurice Raynal wrote that „there is nothing in this involved, compact and concentrated film but explosive genius.“ The character of Fantômas is an early example of the interplay between avantgarde intellectual and emerging mass culture, he was to appear in various films, television and comic book adaptations throughout the century but also highly regarded by the French avantgarde of the 1920s, especially the surrealists, e.g. René Magritte and Guillaume Apollinaire, the latter stating that „from the imaginative standpoint Fantômas is one of the richest works that exist“.